At one point, Stone Cold Steve Austin was getting ready to become the man in the WWF. He was on the path to the Intercontinental Title, but after an interesting tag team title run with Shawn Michaels as his partner, that team dissolved due to Michaels' injury, and Austin was left without a partner. With Austin having to go at it alone against Owen Hart and British Bulldog in a match for the WWF Tag Team Titles. 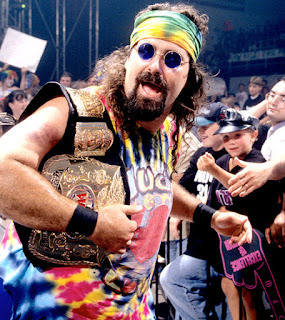 At the time, Austin was hellbent on going at it alone, but Mick Foley (portraying Mankind at the time) was insistent on being a friend and partner to Austin. Austin kept telling Foley no, and he even gave him a Stone Cold Stunner for his trouble. However, when the time came for the match to go down, Austin was clearly overmatched by the tandem of Owen and Bulldog. As the match went on and on, all of a sudden, we were treated to an appearance by an alter ego of Mick Foley, better known as Dude Love. Austin was completely shocked, but this time, he didn't reject the help of Foley. 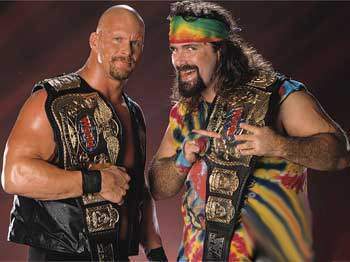 Dude Love and Austin worked together to take Owen and Bulldog to the limit and when the final bell sounded, Dude Love and Stone Cold were now the new tag team champions. It was the typical odd couple tag team booking, with Austin being hesitant to trust Dude Love, and not fully accepting him, but the dynamic was really interesting. The plan for these two wasn't clear honestly, but one could imagine they would have held on to the tag team titles for a little while longer than they did. With a tag title reign of over 55 days, most of which the tag titles weren't even defended, Austin and Dude Love were in the history books as tag champs, but they didn't get much of a run. They did have some house show matches defending against Owen and Bulldog, and when Austin defeated Owen Hart for the Intercontinental Title, Foley had alternated back to his Mankind persona. The Austin and Dude Love tag team is one of those that could have had some potential to be great if they continued into the rest of the year against teams like Triple H and Shawn Michaels as they created D-Generation X, The Road Warriors, and maybe even Brian Pillman and someone else, or the original Hart Foundation of Bret Hart and Jim Neidhart. Yes, this was a very short lived tag team, but the possibilities are what made me cover this team. Much like with Shawn Michaels and Stone Cold, the what ifs are so important and very intriguing. 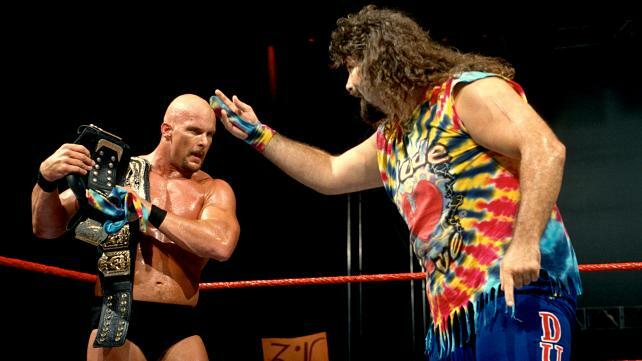 Could Austin and Dude Love have been a solid team up until the Royal Rumble when Austin was due for his huge meteoric push leading into Wrestlemania 14? 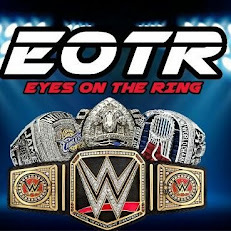 That's what I believe, but still, we have their initial tag team win, the 6 man tag team match the next week on RAW (they teamed with The Undertaker to take on Bret, Owen, and Bulldog), and their various segments (including the one that led up to them teaming) to always remember. Stone Cold Steve Austin and Dude Love will not go down as one of the greatest teams ever for obvious reasons, but they are without a doubt an interesting makeshift tag team that had a temporary impact during the summer of 1997.